Reticulation (What is it? 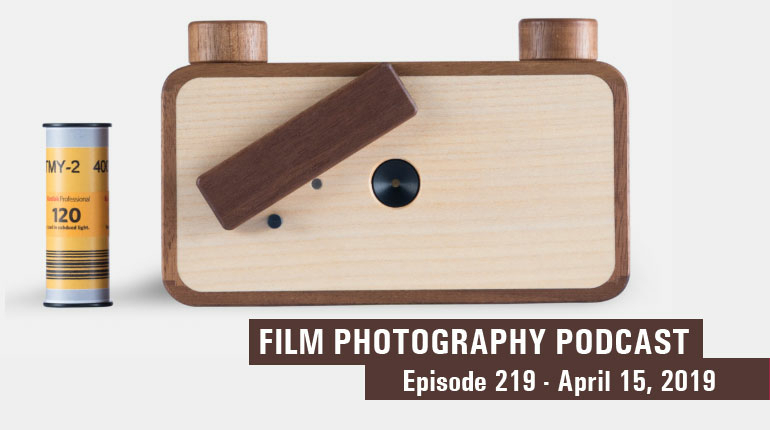 ), the FPP Super Monobath, the Agfa Isola, 120 Super Sampler Packs, the Konica 261 Auto S, Emulsion X, Listener letters and more! above: Hey, we're back! It's May and we get Christmas presents! Hey folks, the gang is all here, no really! 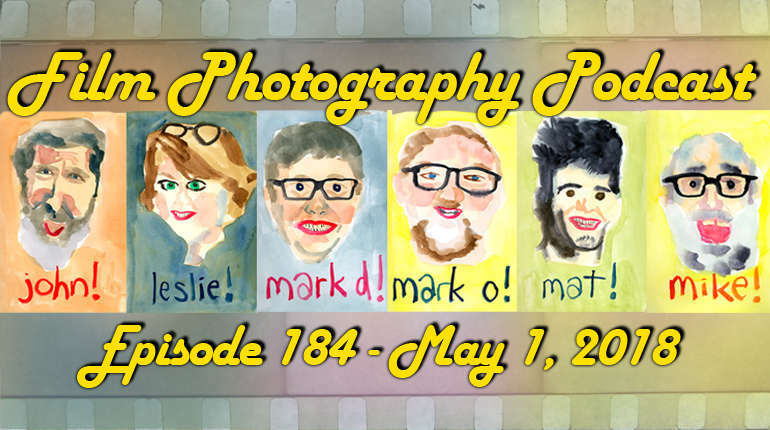 Joining Michael Raso in the studio today is Mark O’Brien, John Fedele, Mat Marrash, and Leslie Lazenby! And we have an action packed show for you today, topics today include Reticulation (What is it? ), the FPP Super Monobath, the Agfa Isola, 120 Super Sampler Packs, the Konica 261 Auto S, Emulsion X, Listener letters and more! So take a seat, get comfortable and don’t touch that pause button! 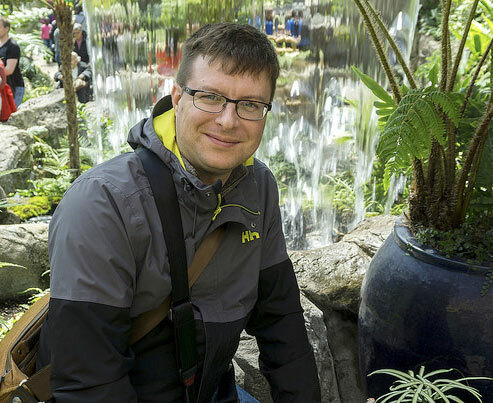 above: Hey, It's Alex Luyckx, writer of the FPP Show Notes and producer of the Canadian podcast Classic Camera Revival. Classic Camera Revival - Looking for another podcast to add to you play list, show note writer, Alex Luyckx, hosts along with James Lee, Mike & Donna Bitaxi, John Meadows, Bill Smith, and Trevor Black Host Classic Camera Revival, a Canadian Podcast that covers cameras, film stocks, chemicals and techniques. New shows air the last Friday of every month, check them out at classiccamerarevival.podbean.com! 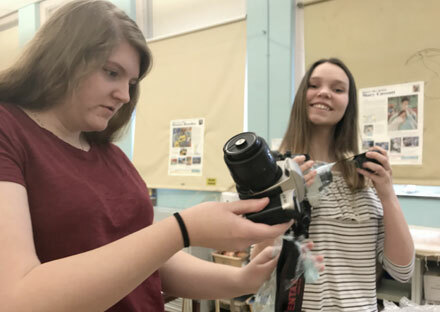 Film Photography Project School Camera Donation Program - Just remember, if you come across some cameras that you aren’t going to use anymore, how about giving it a new life? Send it over the Film Photography Project! What happens then? Well, the whole crew here checks them over, ensure they’re working and then they get put into the School Donation Program! That’s right one of the biggest parts of the FPP is the program that supplies cameras and film to High School, University, and College Photography programs in the US! Check out our Donations Page for more details and how to donate! 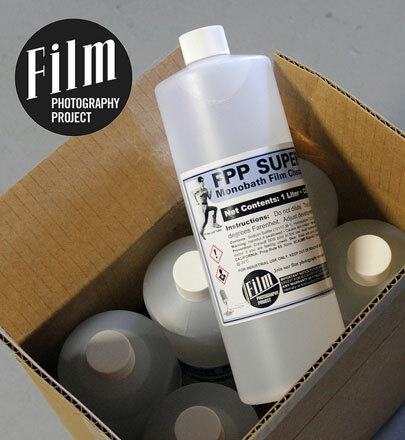 FPP Super Monobath One-Step BW Developer - The idea of a monobath is nothing new, but here at the FPP, we're bringing it to the market, with our own FPP concoctionh! The FPP Super Monobath is new in the store and has been thoroughly tested by the whole gang. Before we start, what the heck is a monobath? Leslie fills us in, as the name implies a monobath is a single step for developing film, develop, stop, fix all in one. Sound familiar? No, you’ve heard of Polaroid, right? Well, the POD has a monobath in it! For the traditional film, Donald Qualls posted in 2004 about a monobath that is based on HC-110, but this is NOT that monobath. So far, the FPP gang has developed close to ten rolls of film in the FPP Super Monobath. Leslie’s first test was with the venerable Kodak Tri-X, while the initial calculations showed 3.5 minutes at 75F/24C. However, she felt that was too short, and suggested 5 minutes at 68F/20C, and both showed it worked good! So next she moved onto Svema 200, and met with failure, totally underdeveloped, and adding time didn’t work, so she heated it up and while it was still under-developed but not as bad. You can SEE Leslie's results using the FPP Super Monobath in her Flickr folder HERE. For Mat, HP5+ for five minutes at 68F/20C is a pass, FP4+ was thin but passed. Sadly, Pan F+ was a failure. Mat then took some TMax 400 and got a super-pass at the five minutes at 68F/20C. 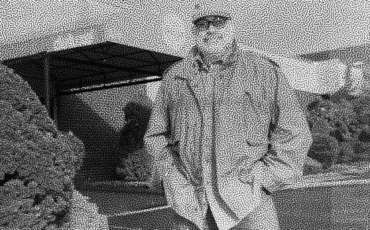 For Mark Dalzell, he pulled out some expired TMax 100, and nailed it with 3.5 minutes at 75F/24C and while the contrast is spot on, he did notice increased grain. You don’t want to push or pull your film; you want to shoot films at box speed or pretty close to it as you can. What about agitation? Well, Leslie says you don’t need to, we do recommend 3-5 agitations per minute. A 1L bottle will give you between 10-20 rolls and at the cost of 25$ USD! If you want to try the Super Monobath out head on over to the FPP Super Monobath page! With a monobath, developing your own B&W film has never been easier! Agfa Isola Camera - Mark O’Brien has a camera to share today, the Agfa Isola, and no, it’s not Italian, rather German. The Isola is a mid-twentieth century camera built between 1950 and 1960. The cameras themselves are fairly simple, most having two shutter speeds (1/30 or 1/100). With a Viewfinder/Guess Focus lens, The cameras take 120 films and shoot 6x6 images. According to Mark, these are a little better than the average Holga. Of course, the trick is finding one, they can be rare in the North American market, which makes them a bit pricy, but there is a pile out there. One thing to note is that to work properly you need to pull out the lens assembly. 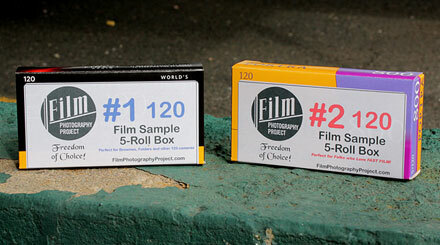 FPP 120 Film Sampler Packs! We have a new product in the store, and it’s a new Sampler Pack for our customers! But now you can get them in 120 format, which joins our 35mm and 620 sampler packs. It’s not that we’re ignoring the format, it’s just there are not that many wacky films in the medium format. So what’s in the boxes? In box number one we’ve got the slower films, Tmax 100 (2 rolls), Portra 160, Ektar 100, and Lomo Colour Slide 200, great for box cameras and toy cameras! In box number two is meant for speed, with tri-x 400 (2x), Tmax 400, Portra 400, and Portra 800! Box 1 is 29.99$ and Box 2 is 32.99$ both awesome values! And before you ask, yes, the film is FRESH. Konica 261 Auto S 126 Camera - Michael was surprised when he visited his folks and his Dad gave him a camera. A gent at his social club passed along a Konica 261 Auto S camera. 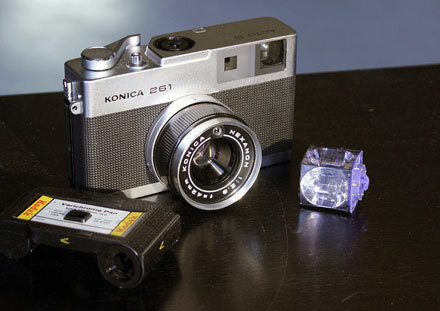 At first glance, the Konica Auto S 261 looks like a 35mm, and with no surprise, the Konica Auto S is a 35mm, But if you rearrange the 261, you get 126 and yes, the camera is a 126/Instamatic camera. The camera using blue-dot flash cubes, and auto-exposure. 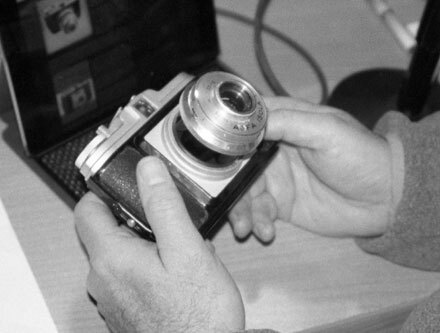 The camera is a rangefinder with a Konica Hexanon 42mm f/2.8 lens. But what is weird, is that instead of where the f-stops should be, is a dial to set the ASA/ISO. After looking through the camera’s manual, Michael realizes that outdoors you just set the camera to Auto, indoors you just set the ISO/ASA and use a flash cube. You can also use that to override the auto-exposure as it will set the aperture and then pick an appropriate shutter speed. Now what you can shoot in this when you don’t have commercially made Instamatic cartridges and use a Fakmatic or a 126 Reload, they won’t work on the camera. Power wise the camera takes a PX625 for the camera itself while the flash is driven by a pair of AAA batteries, but you might need to use a piece of foil to bridge the contact. above: Emulsion X image suffering from reticulation. Emulsion X 35mm bw Mystery Film and What is Reticulation - What’s up with Emulsion-X, this mystery film showed up on the FPP doorstep, and all they knew was that it was 35mm. At the initial tests which you may remember from Episode 175, the film had a super grainy look about it. So when Leslie saw the early images, she knew exactly what seemed to be the issue. Reticulation! If you think this is something you got a vaccine for, you’re way off as Leslie explains. Reticulation is damaged caused to the film by a major shift in temperature rather than chemical damage, and it can happen at any point in the development process from the pre-wet to the final wash. So the grain as big as your head isn’t natural grain structure. The silver crystals are expanding and contracting in such great amounts they give up and clump together. Sadly, it’s the water here at the FPP Compound, temperature both with the water and the air is terrible to regulate the temperature. Leslie continues that older film emulsions such as Tri-X are rather susceptible to reticulation, while newer T-Grain, you’re less likely to get the issue. Of course, you can lessen your chances of getting reticulation by making sure your temperature remains fairly constant across your developing cycle. And there are many products out there to keep your temps on point from speciality photography one, to even cooking materials. But the simplest if you know your temps are constant is just a thermometer. If you want to give yourself the challenge check out a roll for yourself in the store! Control temperature with a Sous Vide - a.k.a the FPP Heat Helper - Continuing on the topic of temperature there are plenty of low-tech methods to maintaining water temperature. While aquarium heaters are great for black & white when it comes to colour, they don’t get hot enough which is understandable as you don’t want to boil your pet fish. What Mark recently purchased to help is a Precision Sous Vide Cooking stick sold by The FPP. It’s a great way to reduce the amount of water you leave running and save on your water bill. Also, you can use it for normal cooking if you must. In the end, it’s about peace of mind; you spend so much time shooting and crafting images, making sure the film is developed right. As for a container, just any plastic container will do, just make sure you have one big enough to fit everything you need to heat up. And that’s it for this show! We’ll be back sooner than you might expect! Until then you can write us by email podcast@filmphotographyproject.com or by post Film Photography Podcast PO Box 264 Fair Lawn NJ 07410. Also, make sure to like us on Facebook and join in the community over on Flickr! And taking us out is FPP SuperFriend Darren Riley and make sure to check out his artwork!